Becky has just come back from an action packed couple of weeks in Namibia. For the first five days of her trip she was accompanied by Wilderness Safaris’ guide Jeremia Mwapopi, and took the chance to chat to him about his life as a safari guide. When did you first know you wanted to be a guide? My father worked for the ministry in Etosha National Park so we would spend our summer holidays there. I think being around other people’s enthusiasm for wildlife and nature, and looking after our precious country, was where my own passion for the bush was ignited. During one of those summer holidays in Etosha I met one of the veterinary doctors and started doing some holiday work for him. That gave me the opportunity to get closer to the animals and learn about their behaviours which further fuelled my interest. My first proper job was with Game Capture in South Africa and following this I started my guide training. I became really interested in animal behaviour, the birds, geology and history of Namibia and just kept wanting to know more. 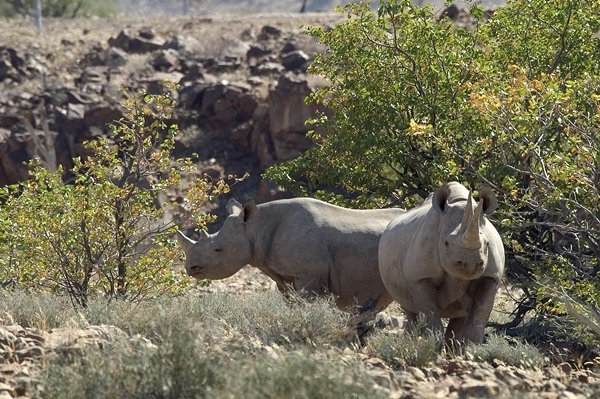 What makes Namibia so special? Namibia has so much to offer to all sorts of people, whatever their interests. Whether it be photographers enticed by the dramatic landscapes of the majestic Sossusvlei Dunes and the remote wilderness of the Skeleton Coast, birders keen to spot our endemic species, or wildlife fanatics keen to spot desert adapted elephants and lions. 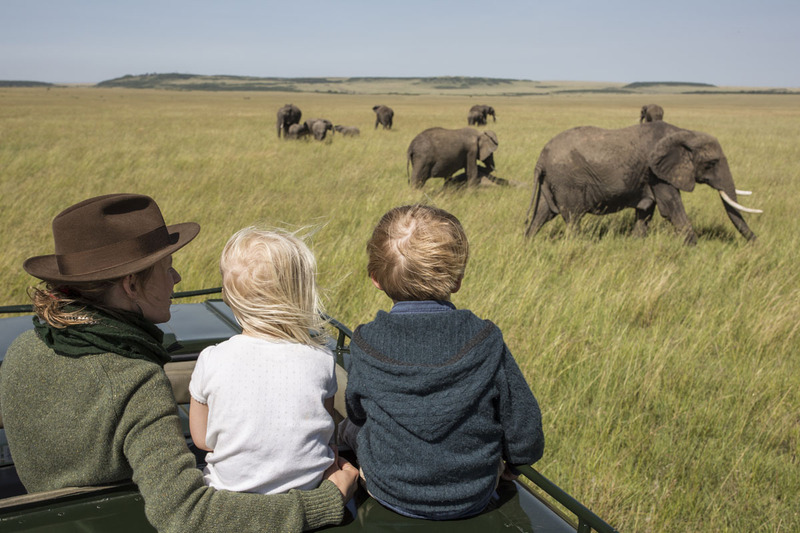 How did you start with Wilderness Safaris? My first guiding job was with CC Africa (now known as &Beyond). My manager at the time got a new job with Wilderness Safaris and a couple of years later I decided to follow him, and here I am now. I love learning about animal behaviour and being able to interpret this and translate it into something the guests can understand. I’m like a translator for the wildlife! 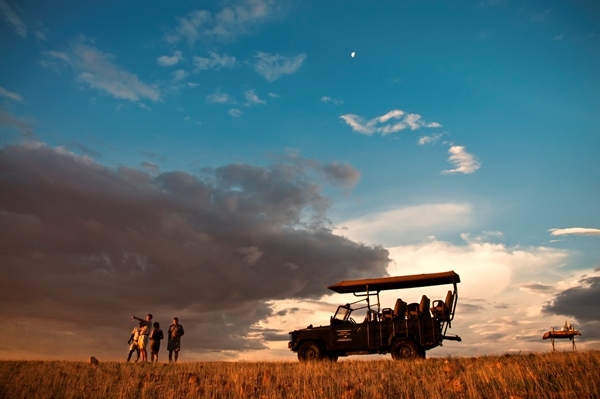 Do you have a favourite Wilderness Safaris’ Camp? It has to be Desert Rhino Camp. Not just because of the amazing atmosphere and the incredibly dedicated staff, but the powerful underlying reason for the camp’s presence which is to support the rhino population. 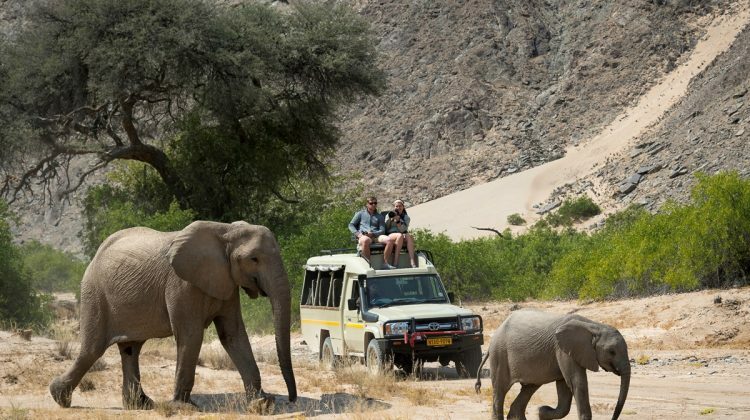 Why should guests consider having a private guide for their travels in Namibia? Having a guide helps in many ways. We know the country so well, including the hidden gems not even the guide books tell you about. 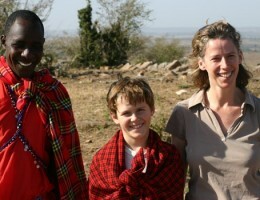 We get to know our guests and their interests in order to tailor their visit and the experiences. As a guest, you don’t have to concentrate on the road, but you have the opportunity to take in the sights along the way. I think it has to be elephants. 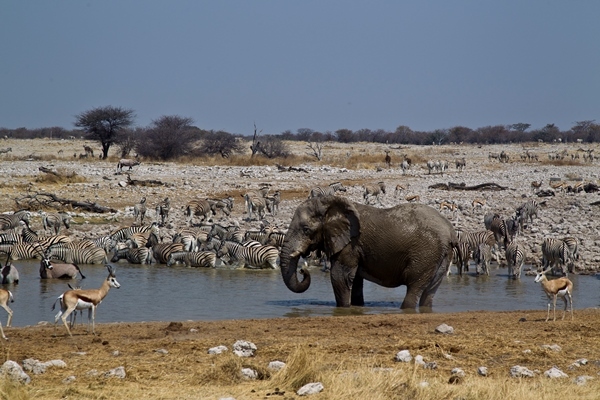 I love watching them congregate around waterholes in Etosha where they take dusty baths. I’m interested in primates too, and one day I would love to visit Uganda or Rwanda to see the gorillas. We do have some monkeys in north east Namibia, they are such characters and very mischievous. Do you have a favourite area of Namibia? 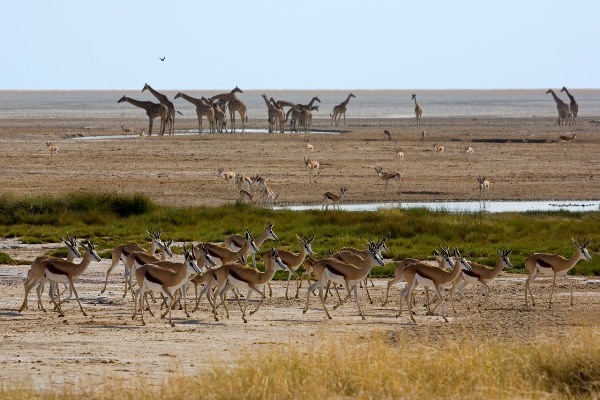 In my free time I find myself going back to Etosha, mainly because of the wildlife. I have had some fantastic sightings of lion at Ongava. 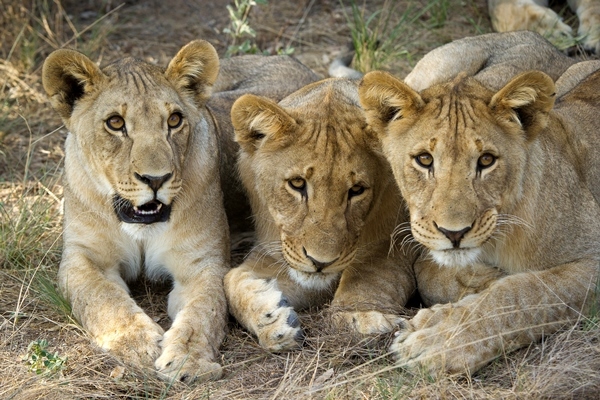 (Note from Becky – When Jeremia and I visited Ongava Tented Camp there were two lionesses in camp). Would you encourage your own children to get into tourism? Yes definitely, working in tourism helps us to learn and spread the message of conservation. It is so important that we look after our continent. Do you have a favourite sundowner spot? Yes, at Desert Rhino Camp perched above the dry river bed known as the Ahab. 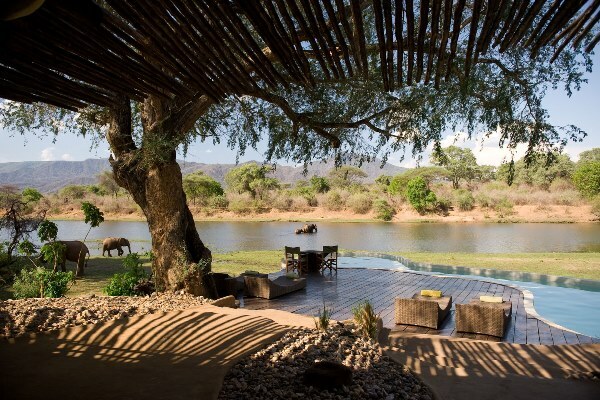 You get an incredible view and sometimes you can spot lion, rhino and elephants because there is a natural spring there where they can also enjoy a sundowner. I always find interesting birds flying around too. Sounds like you have a great job Jeremia? We just help guests make their dreams come true and deliver and exceed their expectations! 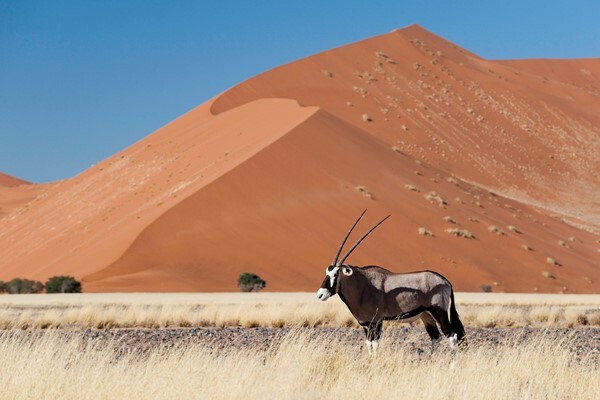 Any questions on a Namibia safari? We would be delighted to help you plan a Namibia holiday, or answer any questions if you’re at an earlier stage. Our team of experts have travelled widely throughout Africa and can help you plan a safari in Namibia or elsewhere. 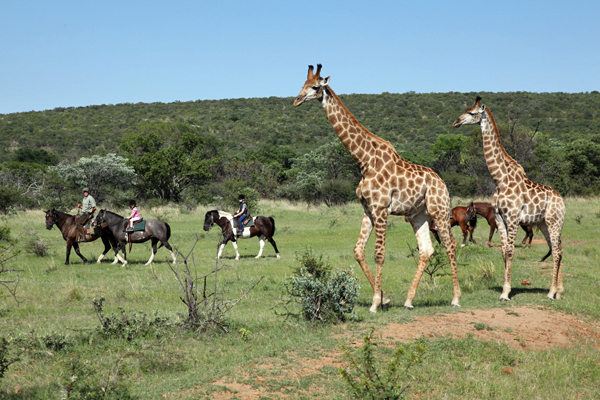 We can offer expert advice on every type of safari from family and beach holidays to riding and primate safaris. If you would like to talk to someone who has been there and done it, please just send us an email or give us a call.